There are now 250 entires in the Mobile Science Database covering every scientific discipline. 1869 is considered as the year of discovery of the Periodic System by Dmitri Mendeleev. 2019 will be the 150th anniversary of the Periodic Table of Chemical Elements and has therefore been proclaimed the "International Year of the Periodic Table of Chemical Elements (IYPT2019)" by the United Nations General Assembly and UNESCO. If you want to brush up on the table there are a couple mobile apps to help you. The new Mobile Science site has been running for a couple of months now and is getting an increasing number of visitors. The top 10 most viewed apps are. Elemental the Dotmatics chemistry sketch utility provided at no cost. Wolfram|Alpha the world's definitive source for instant expert knowledge and computation. ChemSpider which allows you to search the ChemSpider chemical database, provided by the RSC. PocketCAS: Mathematics Toolkit the most advanced mathematics application for iPhone and iPad. ElementalDB search within the 1.4M compound ChEMBL 19 dataset locally on your iPad. MoleculAR Viewer an Augmented Reality app that allows you to visualize and interact with molecules. MestReNova designed to for NMR data analysis productivity and flexibility anywhere. CalcKit lets you create your own personalized calculators. WebMO Molecule Editor allows users to build and view molecules in 3-D, visualize orbitals and symmetry elements. The most searched categories are Chemistry, Medical and Biology. Feel free to let me know of any apps I've missed or that have been updated recently. 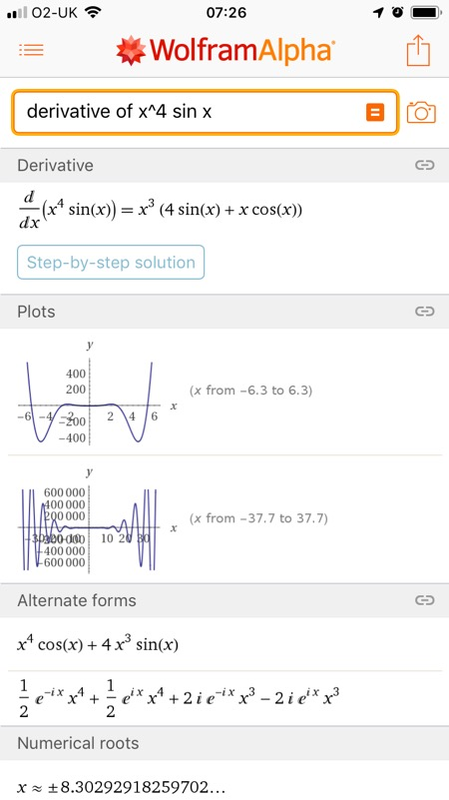 Wolfram|Alpha has been updated, to include support for the iPhone XS max and bug fixes. Remember the Star Trek computer? It's finally happening--with Wolfram|Alpha. Building on 25 years of development led by Stephen Wolfram, Wolfram|Alpha has rapidly become the world's definitive source for instant expert knowledge and computation. The mobile science section is now up and running, and is slowly getting more views. Just to emphasise that you don't need to log in to search, simply type in your query and hit search. For example searching for "Viewer" results in 55 hits found and you can further refine your search. Each App has a detailed description and a link to the iTunes App Store for download, shown below Elemental. As ever always happy to hear about possible additions to the site. A number of people have contacted me about the Mobile Science pages being down. This was due to a problem with the system I was using to search and display the contents of the database. https://www.macinchem.org/mobsci/index.php. I've tried to tag all apps with appropriate comments so hopefully searching should identify the relevant applications. Please have browse and let me know if anything should be added. Across thousands of domains--with more continually added--Wolfram|Alpha uses its vast collection of algorithms and data to compute answers and generate reports for you. The Wolfram|Alpha App plugs directly into the Wolfram|Alpha supercomputing cloud, computing answers to your questions quickly, efficiently, and without draining your battery. There are more iPhone/iPad science apps on the Mobile Science Website. ChemDoodle still tops the list but Medicinal Chemistry Toolkit and Elemental are picking up votes as is WolframAlpha. The newly updated Findings lab notebook also remains popular. The virtual reality macromolecule viewer Learning MacroMols VR is also popular. This should be an interesting development for those developing scientific apps for iOS, the ability to access IBM Watson capabilities. To get you started there is a project on GitHub https://github.com/watson-developer-cloud/visual-recognition-coreml. Classify images with Watson Visual Recognition and Core ML. The images are classified offline using a deep neural network that is trained by Visual Recognition. There is a database of Mobile apps for science. I just noticed this mentioned on Twitter and so I've added it to the Mobile Science site. There is also a web-based version and a twitter feed for submitting bugs and finding out about updates. Wolfram|Alpha. Building on 25 years of development led by Stephen Wolfram, Wolfram|Alpha has rapidly become the world's definitive source for instant expert knowledge and computation. There are more apps on the MobileScience website. The idea behind MedChem Structures Genius is that the chemical structure can be used as a visual and semantical mark to gain information on drug molecules (mode of action, side effects, bioavailability,…). 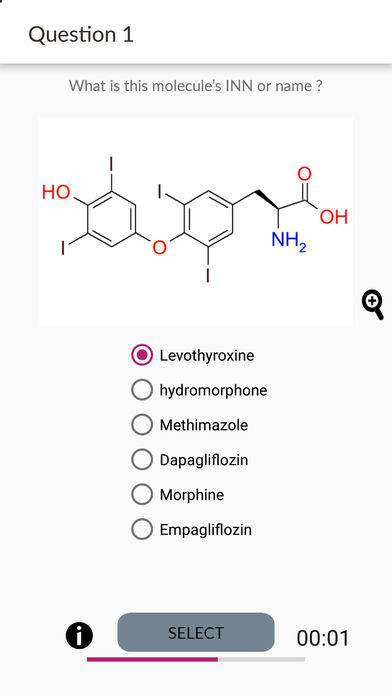 This app, aimed at both students and professionnals, allows learning to recognize chemical drug structures and link them to their INN and their pharmacological class. The quiz allows self evaluation. Only small molecules and peptides and biochemical molecules are listed (no biologics, vaccines, …). The drug classification has been adapted from the ATC WHO classification. There are many more science apps on the Mobile Science site. WolframAlpha has been updated to version 1.8 to bring in support for iPhone X and some bug fixes. I recommend that people ignore the one star reviews, those people have no idea how to use the app. They think this is some search engine like google but it’s more suited for running calculations. If you’ve heard of Mathematica and know what the wolfram alpha website is then you are basically getting full support with this app for peanuts compared to what the website charges. It’s not as mathematically powerful as Mathematica but for running quick calculations on the fly, this is indispensable. There have been a flurry of updates to iOS apps recently, presumably linked to the iOS11 update. 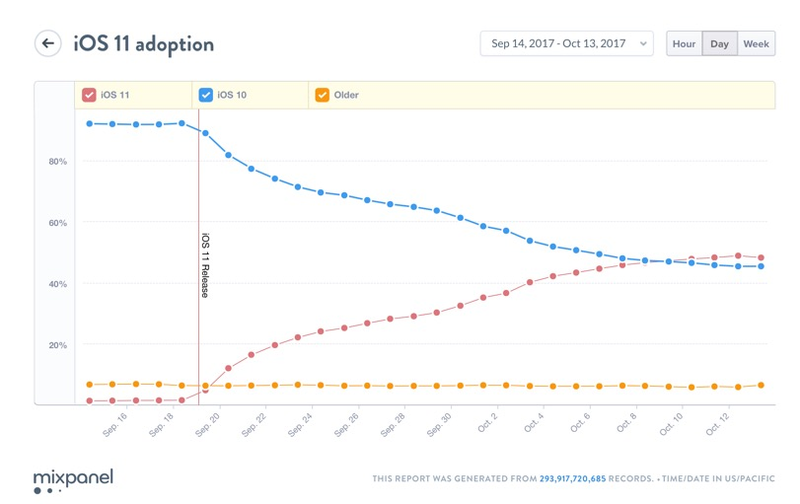 Looking at the adoption of iOS11 on Mixpanel it looks like it is approaching 70% with older versions of iOS disappearing. From a developers point of view this is good news since they only have to concentrate on supporting a single version. It’s not just a game, it’s a quest to help scientists fight dementia! Sea Hero Quest was created by GLITCHERS, presented by Deutsche Telekom and supported by scientists from University College London and University of East Anglia and the lovely people at Alzheimer’s Research, SEA HERO QUEST is an epic culmination of science and gameplay that will change the way dementia research is done forever. One of the first symptoms of dementia is loss of navigational skills. Doctors cannot differentiate between getting lost caused by disease and getting lost caused by natural ageing because a benchmark of “normal” does not exist. Until now … because as you play, your navigational data is tracked anonymously, stored securely and combined with every other player from around the globe, to create the world’s largest crowd sourced data set benchmarking human spatial navigation. This incredible resource will eventually lead to the development of new diagnosis tools and treatments for dementia. In fact playing SEA HERO QUEST for just 2 minutes will generate the equivalent of 5 hours of lab-based research data. Sea Hero Quest uses ResearchKit to ask optional scientific questions for further helping the research. There are more scientific iOS apps here http://www.macinchem.org/mobilescience/. An interesting patent has just been granted. OCEANSIDE, CA, USA, October 31, 2017 ̶ US Patent No. 9,754,085 has been granted to Integrated Chemistry Design, Inc. (ICD) headquartered in Oceanside, CA. The patent covers the technology used in Chirys Draw™ and Asteris™ products designed to replace cumbersome and outdated template tables with a natural circle gesture to rapidly draw chemical rings including complex fused structures. Chirys Draw and Asteris are available worldwide for Apple iPad®. Science Journal by Google is an electronic notebook for recording experiments. Whether you're a science educator or a hobbyist doing science at home, you can keep your notes, photos, and observations all in one convenient place. Use the sensors in your iPhone or iPad to measure and graph phenomena such as light, sound, and motion, or connect to external sensors via bluetooth to conduct experiments on the world around you. Measure light, sound, acceleration, air pressure, and more using your device’s built-in sensors. Take notes and photos to document your science experiments. Connect to external sensors using select Bluetooth-enabled Arduino devices. Create automated triggers for recording data and taking notes. Use sonification to hear the movement of your graphs. Bluetooth: needed to scan for bluetooth sensor devices. Camera: needed to take pictures to document experiments and for the brightness sensor. Photo Library: needed to store pictures taken to document experiments and for adding existing photos from your library to experiments. Microphone: needed for sound intensity sensor. Push notifications: needed to inform you of recording status when backgrounding the app. According to the data captured by mixpanel three weeks after launch iOS 11 has overtaken iOS 10. This is important information for developers who can start to focus on the latest version of the mobile operating system. In contrast for Android there is a much larger spread of operating systems in use. A couple of apps have been updated recently. Wolfram|Alpha across thousands of domains--with more continually added--Wolfram|Alpha uses its vast collection of algorithms and data to compute answers and generate reports for you. Always one of the top apps on the MobileSciencesite. 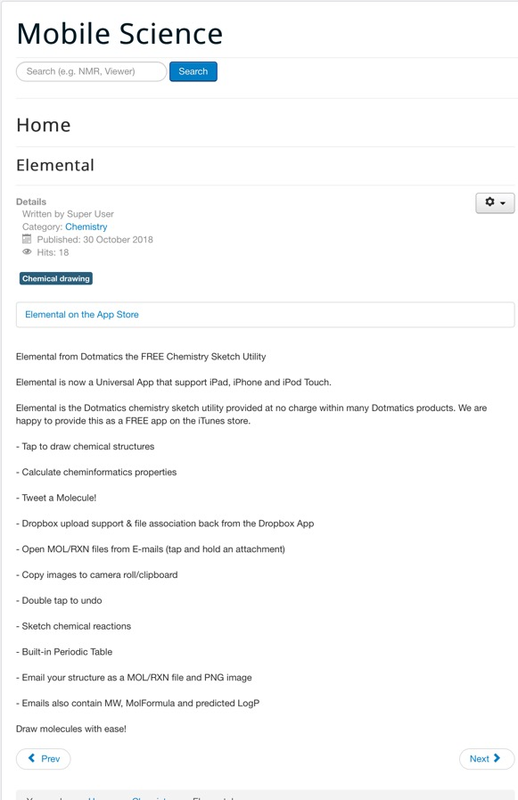 Elemental from Dotmatics the FREE Chemistry Sketch Utility now supports iOS 11 (64-bit support). R Instructor now version 2.1.4 with core code rewritten. NEB Tools brings New England Biolabs’ most popular web tools to your iPhone. Use Enzyme Finder to select a restriction enzyme by category or recognition sequence, or search by name to find information on any NEB enzyme. iSpartan includes viewing NMR data from iSpartan 16. ChemTube3D is a web based Open Educational Resource containing interactive 3D animations and structures, with supporting information for some of the most important topics covered during an undergraduate chemistry degree. It was developed by the ChemTube3D team including students at the University of Liverpool. This is an absolutely fantastic resource that offers invaluable insight into the 3D structure of molecules and reactions. There are many more science apps listed on the Mobile Science site. Wolfram Alpha Wolfram|Alpha uses its vast collection of algorithms and data to compute answers and generate reports for you. Findings- Lab Notebook With Findings, your lab notebook is always with you and always up to date, be it on the field, at the bench, or at a conference. 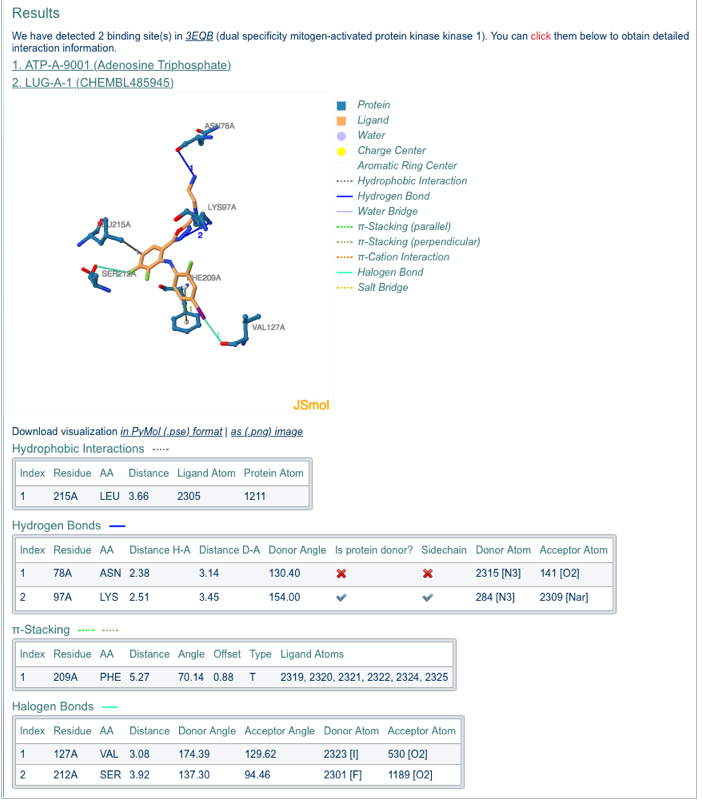 iMolview lets you browse and view in 3D protein and DNA structures from Protein Data Bank, and drug molecules from DrugBank. Search for drug names like 'ibuprofen' or 'gefitinib' in DrugBank, or proteins like 'insulin' or 'thyroid receptor' in PDB. Information associated with each molecule in these databases is also at your fingertips. Sync and view your own structure files via iTunes. 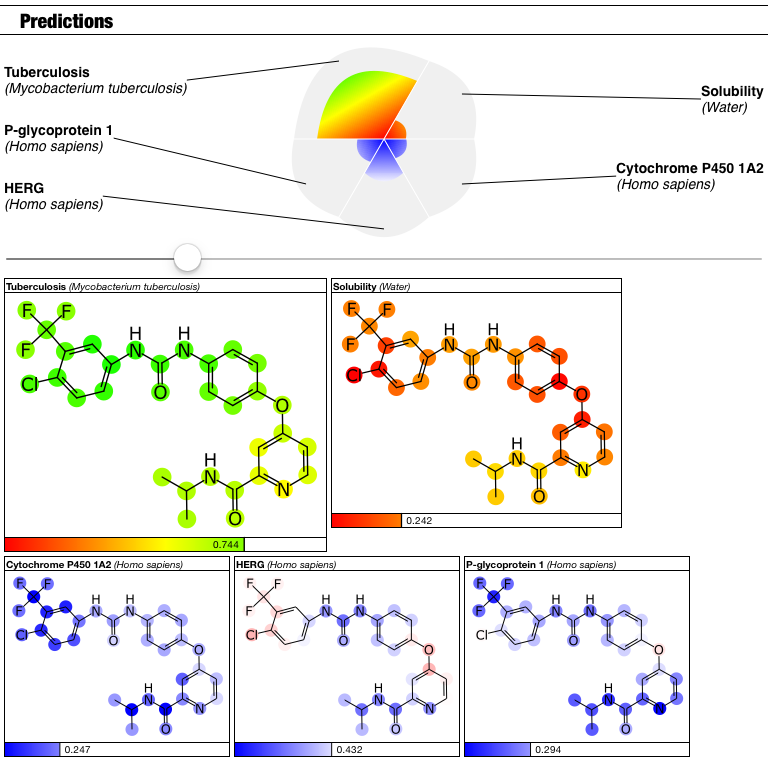 Molecular view can be customized with a rich set of molecular representations (wires, balls-and-sticks, space filling, ribbon diagrams, molecular surfaces) and various coloring schemes. Fixed crash with some large PDB files. Chirality-2 has been released, this is a game that aims to teach some fundamental concepts in 1st year University level organic chemistry in a fun and innovative way, using drag and drop and touch based interfaces to solve puzzles and answer questions. The Chemistry Keyboard is a specialised Keyboard Extension for anyone who needs to enter chemical formulae. The update improves stability on large screen iPads. 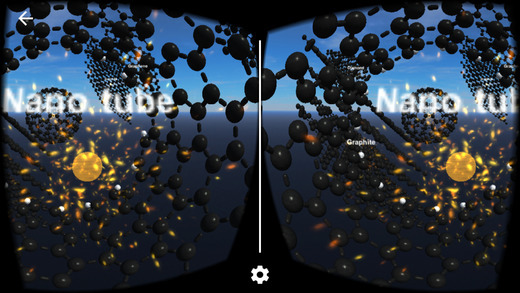 Just added Learning Stereochemistry VR to the mobile science website. Learning StereoChem VR is a mobile app where you can experience stereoisomers in a virtual reality, using Google Cardboards. Stereoisomers have the same molecular formula and the same connectivity of atoms but a different arrangement of atoms in space. Stereoisomers are non-superimposable on their mirror image. Proteins can often distinguish between these mirror images. In this app we explain the importance of stereochemistry. This app comes from the same group who created Learning MacroMols VR and Learning Carbons VR. 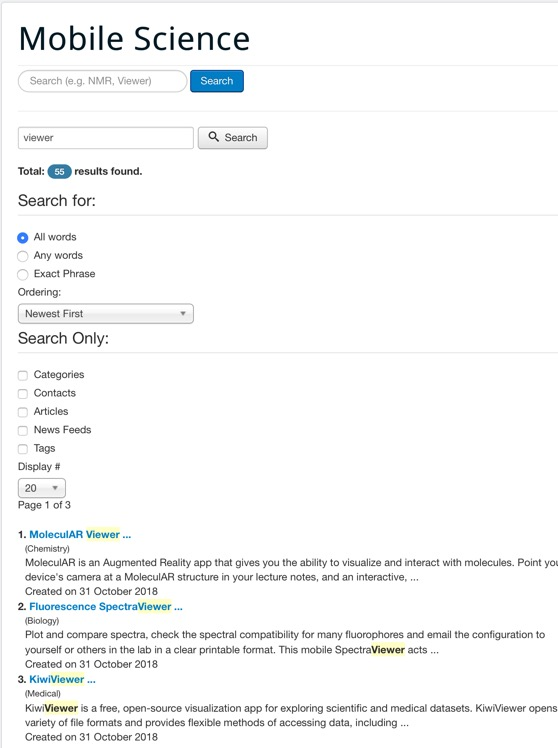 Learning MacroMols VR is a mobile app where you can experience macromolecules such as DNA, RNA, carbohydrates and protein structures (from the PDB – Protein Data Bank) in a virtual reality, using Google Cardboards. Learning Carbons VR is an educational virtual reality (VR) app where students can learn about the various forms of carbon. The use of VR in teaching looks to be a growing trend. Elemental is the free Dotmatics chemistry sketch app. ResearchKit is an open source framework introduced by Apple that allows researchers and developers to create powerful apps for medical research. Easily create visual consent flows, real-time dynamic active tasks, and surveys using a variety of customizable modules that you can build upon and share with the community. Pred-skin is a new mobile app for predicting skin toxicity. Pred-skin is a web app that accesses a web service http://www.labmol.com.br/predskin/ for the calculation and thus requires internet access. The web service also allows bulk predictions. Chemically-induced skin sensitization is a complex immunological disease with a high impact on the quality of life and working ability. Despite some progress in developing alternative methods for assessing skin sensitization potential of chemical substances, there is no single in vitro test that correlates well with human data. Machine Learning (ML) models provide a rapid screening approach and contribute valuable information for the assessment of chemical toxicity. The Pred-Skin App is an alternative method for assessing skin sensitization potential of chemical substances. Full details are in the publication Pred-Skin: A Fast and Reliable Web Application to Assess Skin Sensitization Effect of Chemicals DOI There are many more mobile apps available for science on the mobile science website. Cardiogram allows you to join an ambitious study to detect the most common heart arrhythmia using your smart watch. Contribute your data and save lives. Each year, more than 100,000 strokes are caused by an abnormal heart rhythm called atrial fibrillation. In atrial fibrillation, electrical conduction in the heart becomes disorganized. The upper chambers may beat 300-600 times per minute. The lower chambers may beat at a normal rate, but irregularly. Atrial fibrillation is treatable, but many people don't feel symptoms, so it often goes undiagnosed. Back in March 2015, Apple Inc announced ResearchKit, a novel open-source framework intended to help medical researchers to easily create apps for medical studies. Since then there have been a number of mobile apps created to make use of this framework and a few have now made it into the literature, “Back on Track”: A Mobile App Observational Study Using Apple’s ResearchKit Framework DOI was designed to help understand decision making in patients with acute anterior cruciate ligament (ACL) ruptures. The Asthma Mobile Health Study, a large-scale clinical observational study using ResearchKit DOI enabled prospective collection of longitudinal, multidimensional data (e.g., surveys, devices, geolocation, and air quality) in a subset of users over the 6-month study period. The Mole Mapper Study, mobile phone skin imaging and melanoma risk data collected using ResearchKit DOI Skin cancer research is particularly amenable to this approach, as phone cameras enable self-examination and documentation of mole abnormalities that may signal a progression towards melanoma. At the end of last year the RSC CICAG ran a one day meeting looking a mobile apps in chemistry. With the Spring meeting of the ACS in San Francisco starting today I'd be interested in hearing about any new Mobile apps for chemistry. You can download the app for the meeting here. The ACS Mobile Meeting Application is your full-featured guide to manage your experience at the 253rd ACS National Meeting & Exposition in San Francisco, CA (April 2-6, 2017). You can browse mobile science apps for iOS here. PerkinElmer have announced that their iOS apps have been withdrawn. 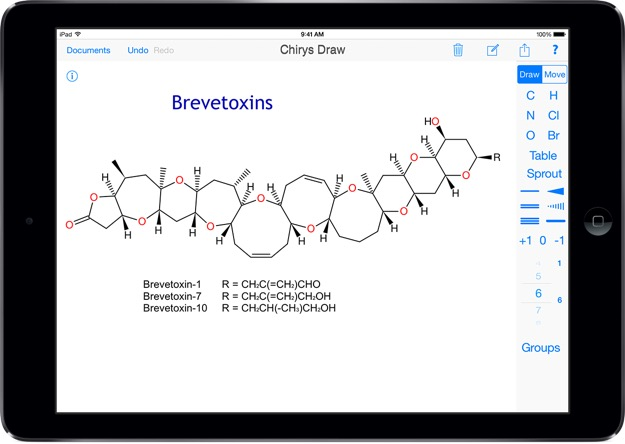 Although PerkinElmer Informatics remains committed to making ChemDraw available to chemists everywhere, the iPad iOS apps ChemDraw, Chem3D and CDSL have been withdrawn from the Apple iTunes store effective immediately. The related Flick2Share capability is also withdrawn from service. Whilst it was reported that there were plans to build an Android version in 2014 nothing has seen the light of day. It seems they are now focusing on ChemDraw Cloud. If you already have ChemDraw or Chem3D installed they will continue to operate but the "flick2share" option will not function, it is unlikely that existing apps will be updated or supported in the future. 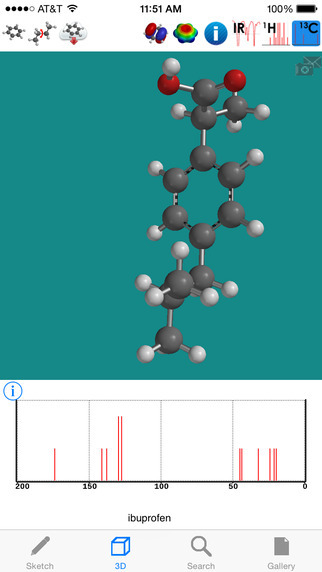 There are a number chemical drawing apps alternatives to ChemDraw under iOS on the MobileScience Website. Perhaps the most popular is ChemDoodle Mobile and is provided to you for free when you purchase ChemDoodle desktop. There are five main windows: Draw, 3D, Calculate, Spectra and Help. The Draw window shows a typical ChemDoodle sketcher, where you can draw and store your structures. The 3D window allows you to view the drawn molecule in 3D. The Calculate page calculates properties and the Spectra page simulates NMR spectra. All spectra are interactive. 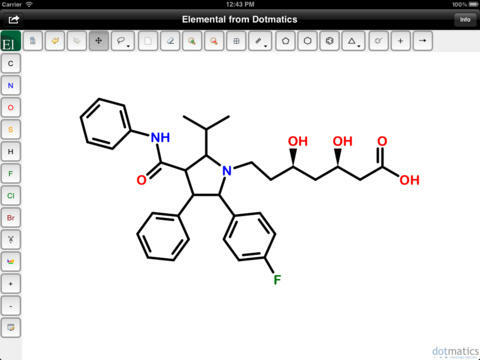 Elemental is a free chemical drawing app from Dotmatics. This is actually the same chemical sketching application provided for all the Dotmatics products and as is used for drawing chemical queries in ChemSpider. It is also used int ElementalDB an iPad app that demonstrates substructure searching the 1.2M structure ChEMBL database locally on your iPad. Molecule is a simple modern chemical structure editor. Allow to draw and share chemical structure. MF, MW, Monoisotopic Mass and Elemental Composition calculated interactively during drawing. MolPrime+ is a chemical structure drawing tool based on the sketcher from the Mobile Molecular Datasheet from Molecular Materials Informatics, Inc. 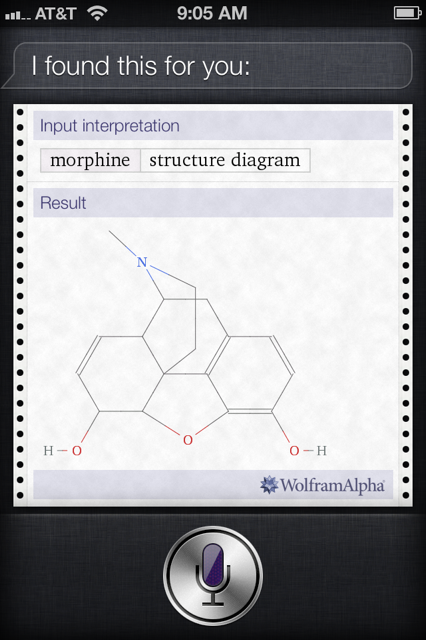 It provides a way to view and edit chemical structure diagrams on an iPhone, iPod or iPad. The unique and innovative sketcher is optimized for the touchscreen interface, and allows professional quality molecular structures to be drawn quickly and efficiently. The same drawing tool has been used in the Green Lab Notebook. iMolecular Draw is an application that can view, edit and build molecules in 2D. 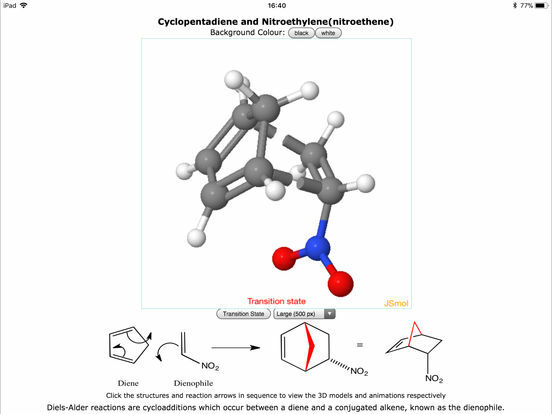 Chirys Draw chemical drawing app for publication-quality molecular structures and reactions. Designed from the ground up for the iPad, Chirys Draw takes advantage of unique multi-touch capabilities to make drawing molecular structures and reactions easy and accurate. Learning MacroMols VR is a mobile app where you can experience macromolecules such as DNA, RNA, carbohydrates and protein structures (from the PDB – Protein Data Bank) in a virtual reality, using Google Cardboards. It allows the viewer to explore DNA, RNA, Carbohydrates and Proteins. EduChem VR (http://educhem-vr.com), create immersive virtual reality world of atoms and molecules, while playing. All molecules are 3D objects and one very efficient way to learn more and deeper about atoms and bonds is by VR. Every looked into the night sky and wondered what a bright object might be? If so then this is the app you need, Stellarium is a Mobile Sky Map is a fully-featured planetarium for your phone. It shows a realistic and accurate night sky map, just like what you see with the naked eye, binoculars or a telescope. CompTox Mobile allows the user to find chemical structure instantly by exact mass (m/z), ¹³C NMR chemical shifts, structure name or CAS Registry Number in a database of about 720,000 EPA CompTox structures. 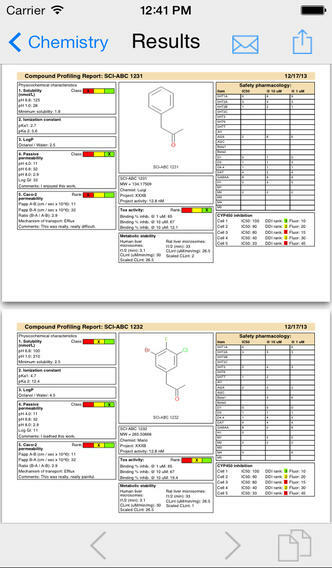 Within the Chemistry Dashboard, users can access chemical structures, experimental and predicted physicochemical and toxicity data, and additional links to relevant websites and applications. An interesting post on ChemCommerce.org a summary of 7 mobile apps that could be useful for medicinal chemists and other drug discovery professionals. Of course there are many more apps for mobile devices on the MobileScience website. The essential iOS search tool Wolfram Alpha has been updated. Building on 25 years of development led by Stephen Wolfram, Wolfram|Alpha has rapidly become the world's definitive source for instant expert knowledge and computation. Across thousands of domains--with more continually added--Wolfram|Alpha uses its vast collection of algorithms and data to compute answers and generate reports for you. Parts of Wolfram|Alpha are used in the Apple Siri Assistant; this app gives you access to the full power of the Wolfram|Alpha computational knowledge engine. This looks very cool, Mathpix is a great utility for creating mathematical documents from hand written text. Mathpix is the world's first technology that can read pictures of your handwritten math. Simply take a photo, crop your equation of interest, and you instantly get solutions and plots. Scanned equations can be exported to PDF, LaTeX, and Overleaf to be used in publications. It also includes a maths solver and interactive 2D, 3D plotting. The website Mathpix.com has videos of it in action. Virtual reality apps for the iPhone are becoming more common and the latest is Learning Carbons VR. This is an educational virtual reality (VR) app where students can learn about the various forms of carbon. For many of these types of apps you will need a VR Google Cardboard headset with head straps and a Bluetooth gamepad (MFi certified - made for iPhone). I've just heard about three new science apps for iOS. PROtein VR allows you to explore 3D structures of molecules including proteins, DNA and ligands in Virtual Reality. To use it you will need a VR Google Cardboard headset with head straps and a Bluetooth gamepad (MFi certified - made for iPhone). MoleculE VR is a virtual reality tour introducing some of the basic concepts about cell communication and signalling: how cells receive and respond to messages from their environment, interact with other cells and coordinate their biological processes. MoleculE VR is a Virtual Reality app for phones requiring gyroscope and a VR headset like Google Cardboard. Chemistry Docking is a game app that allows you to match a small molecule ligand with a large protein to maximize the number of possible interactions. Chirality is a new iOS app to help with teaching chemistry. Learning Chemistry can be challenging. Chirality is a short iOS based game that aims to teach some fundamental concepts in 1 st year University level organic chemistry in a fun and innovative way, using drag and drop and touch based interfaces to solve puzzles and answer questions. There are many more iOS apps for science available here. "We're giving away Halloween promo code treats for PhySyCalc for iOS. If you want to share with your readers feel free to post this link." PhySyCalc reinvents the calculator. More intuitive than conventional calculator apps, PhySyCalc lets you do full calculations with units. For example, you drive 250 miles on a full 12 gallon tank of gas and want to calculate your mileage. In PhySyCalc you can skip all the unit conversions and just enter 250 mi/12 gal. PhySyCalc gives you the answer in mi/gal. Or, if you like, km/L or L/100 km, all in a few touches of your finger. 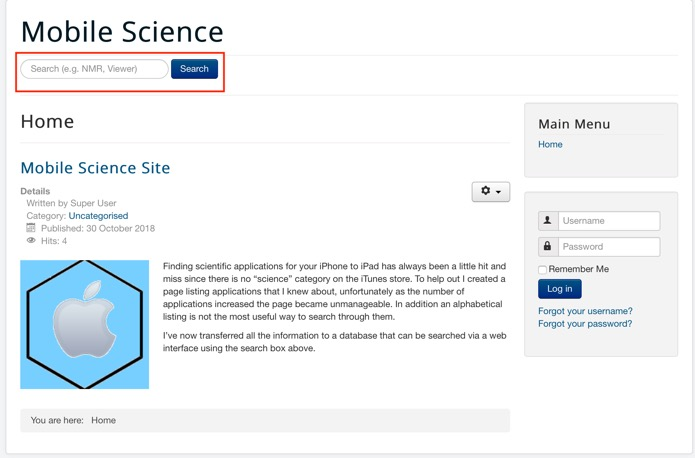 The Mobile Science site is a resource for finding scientific applications for iOS devices. The is an option for people to vote for apps and while this is needs to be taken with a pinch of salt I thought it might be interesting to highlight the current top 10. The Green Solvents app has been updated. You can read the full story behind the app in this blog post. There are now over 400 apps in the MobileScience database. The Chemistry Keyboard is a specialised Keyboard Extension for anyone who needs to enter chemical formulae. The latest update brings compatibility with iOS10 and a tidied up UI. For more information about chemistry on mobile devices here is the meeting report for the Chemistry on Mobile Devices: Create, Compute, Collaborate conference that was held 7 September 2016 in Cambridge UK. Organized by RSC CICAG. Here is the meeting report for the Chemistry on Mobile Devices: Create, Compute, Collaborate conference that was held yesterday. Organized by RSC CICAG. Mobile devices are now ubiquitous, there are now estimated to be over two billion SMART phones and tablets in use globally. Each with the computing power to handle most of a chemists needs. The aim of the meeting was to look at the many ways that mobile devices could become the chemist’s essential companion. From searching and consuming content, to performing computational calculations and providing interactive visualizations. From electronic notebooks to devices accessing Cloud based resources. Our vision is to educate and make chemistry the coolest and most fun subject to learn, and introduce a new way to learn chemistry (and biology) using virtual reality on smartphones…We aim to take a lead in digitalizing life science education by gamification. With EduChemVR apps, teachers can take students on virtual tours to explore small and large molecules. He has also agreed to give demos at the “poster” session which should be fun. Orange NMR has been updated. Orange NMR is an App to predict 13C and 1H NMR spectra: draw a structure to see its spectrum. The accuracy of the algorithm is about 1.9 ppm for 13C and 0.21 ppm for 1H (RMSD=3.4 and 0.31 ppm correspondingly). The number of heavy atoms in structure to predict for free is restricted to 12 atoms. This restriction can be removed by purchasing additional licenses. What's New in Version 2.4 More accurate 3J H-H couplings prediction. There are many more science apps for mobile devices here. The presentation agenda is now complete but there will be time set aside for poster/demonstrations of apps. If you want to demo your app simply sign up as a delegate and let us know you would like to demo. Looks like it should be an interesting meeting with couple of “first disclosures” already in place. I see the iOS version of the very popular writing software package Scrivener is now available. It looks like you need to updated version (2.8) of the desktop version for synching. Tailor-made for creating long manuscripts, Scrivener banishes page fright by allowing you to compose your text in any order, in sections as large or small as you like. Got a great idea but don’t know where it fits? Write when inspiration strikes and find its place later. Grow your manuscript organically, idea by idea. Whether you plan or plunge, Scrivener works your way: meticulously outline every last detail first, or hammer out a complete draft and restructure later. Or do a bit of both. All text sections in Scrivener are fully integrated with its outlining tools, so working with an overview of your manuscript is only ever a click away, and turning Chapter Four into Chapter One is as simple as drag and drop. WolframAlpha has been updated to version 1.7.2. Wolfram|Alpha. Building on 25 years of development led by Stephen Wolfram, Wolfram|Alpha has rapidly become the world's definitive source for instant expert knowledge and computation. Across thousands of domains--with more continually added--Wolfram|Alpha uses its vast collection of algorithms and data to compute answers and generate reports for you. Parts of Wolfram|Alpha are used in the Apple Siri Assistant; this app gives you access to the full power of the Wolfram|Alpha computational knowledge engine. The news section on the University of Liverpool site highlights two apps that provide a guide to interactions that may occur between different hepatitis or HIV drugs and over 600 co-medications that a patient may be prescribed, as well as recreational drugs and herbals. Liverpool HIV iChart and Liverpool HEP iChart are available for free download. Orange NMR has been updated, with more accurate 4J HH couplings prediction and improvements to the peaks table. Orange NMR is an App to predict 13C and 1H NMR spectra: draw a structure to see its spectrum. The accuracy of the algorithm is about 1.9 ppm for 13C and 0.21 ppm for 1H (RMSD=3.4 and 0.31 ppm correspondingly). There are an increasing number of spectroscopy application available for mobile devices. Version 1.7.0 of Wolfram|Alpha has been released. No real details on update other than "bug fixes". Wolfram|Alpha. Building on 25 years of development led by Stephen Wolfram, Wolfram|Alpha has rapidly become the world's definitive source for instant expert knowledge and computation. Across thousands of domains--with more continually added--Wolfram|Alpha uses its vast collection of algorithms and data to compute answers and generate reports for you. Draw chemical structures. View 3D. Generate IUPAC names. Calculate properties. Simulate NMR. ChemDoodle Mobile! NOTE: ChemDoodle® Mobile is accessed with your ChemDoodle account that is provided to you for free when you purchase ChemDoodle desktop. You can use the Guest account to access this app without purchasing ChemDoodle, but you will not be able to save your chemistry drawings and some features may be restricted. The Medicinal Chemistry Toolkit app is a suite of resources to support the day to day work of a medicinal chemist. Based on the experiences of medicinal chemistry experts, we developed otherwise difficult-to-access tools in a portable format for use in meetings, on the move and in the lab. The app is optimised for iPad and contains calculator functions designed to ease the process of calculating values of: Cheng-Prusoff; Dose to man; Gibbs free energy to binding constant; Maximum absorbable dose calculator; Potency shift due to plasma protein binding. Elemental from Dotmatics the FREE Chemistry Sketch Utility Elemental is now a Universal App that support iPad, iPhone and iPod Touch. Elemental is the Dotmatics chemistry sketch utility provided at no charge within many Dotmatics products. We are happy to provide this as a FREE app on the iTunes store. Papers is your personal library of research. Find, read, organize, sync your research papers -- anytime, anywhere! Download Free Content from Stanford on iTunes Updated for iOS 7. Tools and APIs required to build applications for the iPhone and iPad platform using the iOS SDK. User interface designs for mobile devices and unique user interactions using multi-touch technologies. Findings is your lab notebook, reinvented. When running experiments, it is crucial to keep track of what one is doing, to be able to later reproduce the results, assemble and publish them. This is what lab notebooks are for. With Findings, your lab notebook is always with you and always up to date, be it on the field, at the bench, or at a conference. Findings for iOS is even more powerful when used in combination with Findings for Mac. Open Drug Discovery Teams (ODDT) provides a magazine-style interface to collated information on a range of topics, primarily regarding research into cures for rare and neglected diseases. The Approved Drugs app contains over a thousand chemical structures and names of small molecule drugs approved by the US Food & Drug Administration (FDA). Structures and names can be browsed in a list, searched by name, filtered by structural features, and ranked by similarity to a user-drawn structure. ResearchKit is an open-source framework that allows researchers and developers to create powerful apps for medical research. The Parkinson app is one of the first five apps built using ResearchKit. mPower is a unique iPhone application that uses a mix of surveys and tasks that activate phone sensors to collect and track health and symptoms of Parkinson Disease (PD) progression - like dexterity, balance or gait. The goal of this app is to learn more about the variations of PD, and to improve the way we describe these variations and to learn how mobile devices and sensors can help us to measure PD and its progression to ultimately improve the quality of life for people with PD. The initial results have now been published Scientific Data 3, Article number: 160011 (2016) ​DOI, with around 15,000 people contributed data to the study. I've just finished updating the Mobile Science site there are now over 400 entries covering all areas of science. The latest entry is Notelus an electronic lab notebook (ELN). ELNs seem to be increasingly popular, and having access to your notebook on a mobile device that you can carry into the lab/library etc. is very attractive. There are a selection of ELNs for iOS, some also have desktop versions, whilst there are other systems that are web-based and can be accessed from most devices. 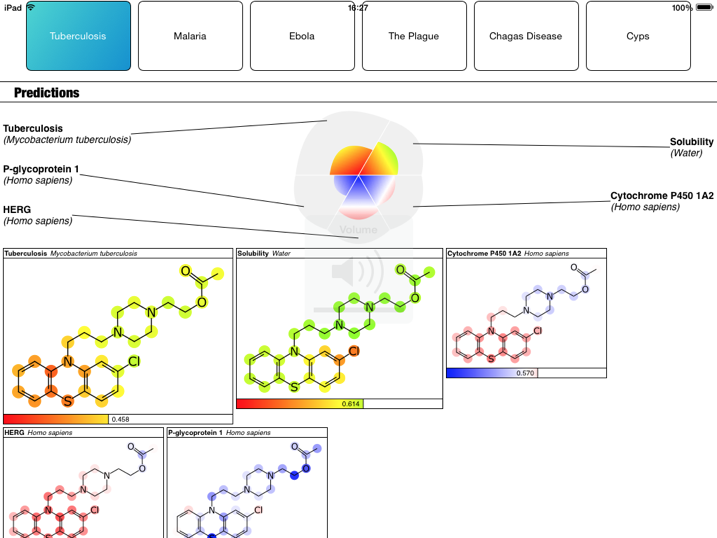 iSpartan is a versatile app for molecular modeling on the iPad, iPhone, and iPod Touch. The app allows any chemist fast and easy access to computational methods that have proven reliable for a large range of molecules. When Apple introduced iOS8 one of the features that perhaps didn't grab the headlines was that it allowed you to install third-party keyboard apps from other developers. Whilst the early examples seemed to do little more than change keyboard colour more recent ones have introduced novel features and discipline specific keys. There are three keyboards in the mobile science database. Chemistry Keyboard The Chemistry Keyboard is a specialized Keyboard Extension for anyone who needs to enter chemical formulae. Allows you to add those nice superscript or subscript 2s. Or a proper arrow glyph, or a triple bond? The Math Keyboard The Math Keyboard is the ideal keyboard for typing Math and Scientific characters. Support for landscape orientation on all iOS devices, & improved layout for all screen sizes. Support for iOS 9 multitasking enhancements for iPad (Split Screen and Slide Over). Export Findings archive via the Share button. Import of Findings archive from other applications (Mail, iCloud Drive, Dropbox, etc.). Like on Mac, you can select which document to add or merge. Significant improvements to the protocol browser (p<0.001): relevant science fields and separation of your protocols, protocols from others and Findings example. Support for 3D Touch on application icon, with shortcut items to show your experiments, the protocol browser, or a new experiment. Clearer requests to enable notifications (for timers). Easier selection of subfield in protocol metadata editor. Message to the user when an attachment does not support Quicklook & cannot be previewed on iOS. More options for troubleshooting sync under the 'Advanced' section in the settings, including manual sync trigger, Dropbox cache reset, Dropbox file removal, and sync diagnostic logs. Completed experiments are automatically marked as ongoing when adding new content for current or future days. Example protocols that come with the app are now read-only. Tweaks to the app icons, in particular adding missing assets for 3x resolution on iPhone 6S+. Allows navigation back to last day of an experiment after moving to today, by having the 'Today' button become 'Last Edit'. Creating a new experiment uses a clearer 'Create' button instead of the potentially confusing 'Save'. Experiment and protocol deletion now possible in the metadata editor ('i' button). Protocol creation possible from any screen of the protocol browser (previously, it was only possible from within a subfield). Full-fledge protocol browser to select a protocol to add to an experiment. Watch: start countdown timer immediately when adding via the Watch app. Watch: dismissing iPhone alert when timer is stopped on Watch app. Watch: clearer accessibility labels on Watch app. Hiding the irrelevant calendar icon when editing protocols. Table display bugs and truncation in document view. List numbering wrongly interrupted by table. Update completed state of paragraphs after reordering. Actually query start date when duplicating an experiment. Correctly displaying experiments pending completion under the 'Ongoing' tab when selecting an experiment to duplicate. Missing information in diagnostic section of pre-filled feedback emails. Using the correct tint color in the various protocol-related views. Insertion of picture below selected paragraph when using the paragraph toolbar. Keyboard hiding modal menu for changing note type. Extraneous space in support button. Removing unused options wrongly displayed for Findings in the Settings app. Icon missing or incorrect icon when using swipe-to-right to toggle the completion state of a paragraph in the experiment editor. Displaying multi-line text in the metadata editor screen. For a paragraph added on Mac, a timer could only be added after "deleting" a (non-existing) timer. Attachments not duplicated when duplicating an experiment. Correctly displaying styled text (bold, italics, etc.) in bullet-list paragraphs. Watch: unreliable notification when starting timer from Watch app. Watch: glance update after updating experiment progress or timer in the Watch app. PolyPharma has been updated, it uses structure activity relationships to view predicted activities against biological targets, physical properties, and off-targets to avoid. Calculations are done using Bayesian models and other kinds of calculations that are performed on the device. There is more detailed information here. The latest update includes toxicity models from EPA Tox21 dataset measurements. There are many more iOS apps for science on the mobile science site. I've just been sent a link to an advanced charting kit for mobile devices Shinobicontrols if you are developing an iOS app that requires plots or charts this may be a useful addition. The iOS app PolyPharma has been updated. PolyPharma uses structure activity relationships to view predicted activities against biological targets, physical properties, and off-targets to avoid. Calculations are done using Bayesian models and other kinds of calculations that are performed on the device. More details are available in this presentation. Orange NMR the iOS app to predict 13C and 1H NMR spectra has been updated, just draw a structure to see its spectrum. Optional calculation of MF, MW, Monoisotopic Mass and Elemental Composition added. Ability to show terminal and all carbons on structure added. Wolfram Alpha has been updated. Papers 3 for iPhone and iPad, now available for free! As of today, Papers for iPhone and iPad is available for free! Full functionality, no in-app purchases or small print. Developers often ask me about the versions of operating systems that are used to access the site so I keep an occasional eye on the analytics. Looking at iOS I notice that version 9 is now appearing at just over 6% of the visitors. Version 8 accounts for around 92% with an occasional visitor still using versions 5-7. Just in case the site visitors are not representative I thought I'd check on the Mixpanel site, they also show >90% using iOS 8 as shown below. The lack of fragmentation in iOS adoption makes it easy for developers to decide on which version of the operating system they need to support. Scientific application for iOS are getting more and more sophisticated, PolyPharma is a new application for looking at Structure-activity generated by a wide selection of predictive Bayesian models. and the structure activity in a selected model explored using the "honeycomb" display. 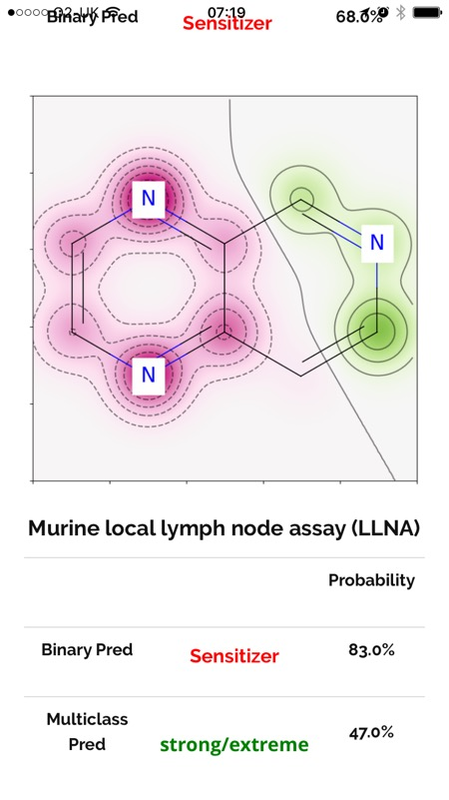 For each of the targets within the profile, the app stores a selection of representative molecules from the training set that was used to build the Bayesian model. These are shown as a series of thumbnail summaries using the honeycomb-style clustering layout, with the current molecule at the centre, the is support for gestures allowing the user to "pinch" or "sweep" to zoom in or browse. I notice that the Royal Society of Chemistry have just added another mobile app, the Periodic Table is based on the Periodic table on the RSC website and contains lots of interesting facts about the elements. 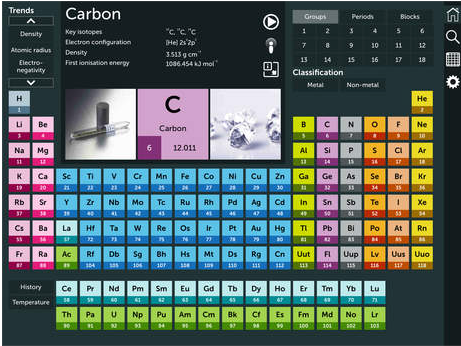 There are actually a few other Periodic Table apps, including Molar, EleMints, Periodic Table of the Elements, Merck PTE HD, The Chemical Touch, The Elements and my favourite The Elements in Action. The Elements in Action has videos describing the elements, so if you have ever wanted to know what happens when rubidium is dropped into water this is the app for you, bear in mind however it is a 557MB app. NAME REACTION SEARCH: After registration users see a new button for name reaction searches in the reaction search form. Furthermore, all users (including those not registered) will see a new hyperlink with the Name Reaction in the reaction hit list, when named reactions are hits for a reaction search. This hyperlink allows users to retrieve all reactions assigned to the specific mechanism. REACTION EDITOR: The MMDS structure editor by Molecular Materials Informatics has been modified to enable intuitive and easy reaction query submission. INFO FOR SPRESIweb CREDENTIALS OWNERS: SPRESImobile users who own credentials for the SPRESIweb application containing now over 11.8 million molecules (5.4 million abstracted from the literature and 6.4 million from catalogs) and 4.2 million reactions, are now informed about the database they are searching via a short notice visible at the bottom of the SPRESImobile homepage. There are now nearly 400 science apps on the Mobile Science website. I was tidying up a couple of things on the Mobile Science site and I thought I'd just give a mention to the top 5 most upvoted applications. All worth having a look at. 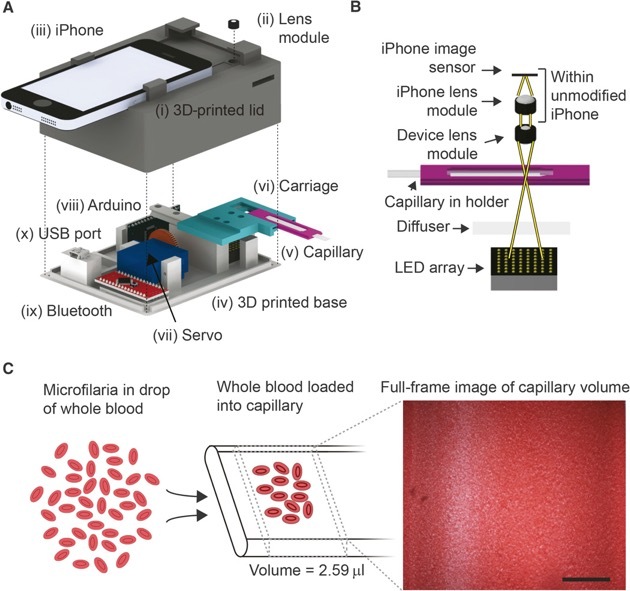 There is a very interesting publication in the latest issue of Science, Point-of-care quantification of blood-borne filarial parasites with a mobile phone microscope DOI describing the use of a smart phone to captures and analyzes videos of microfilarial motion in whole blood. Parasitic worms are a major health hazard in many parts of the developing world and the drugs used to treat the disease can have serious side-effects so it is important to restrict the medicines to the appropriate patients. Researchers had previously tried developing ways to test blood for antibodies or to stain the parasites for easier identification under a microscope, but the techniques were never fast, cheap, or effective enough. 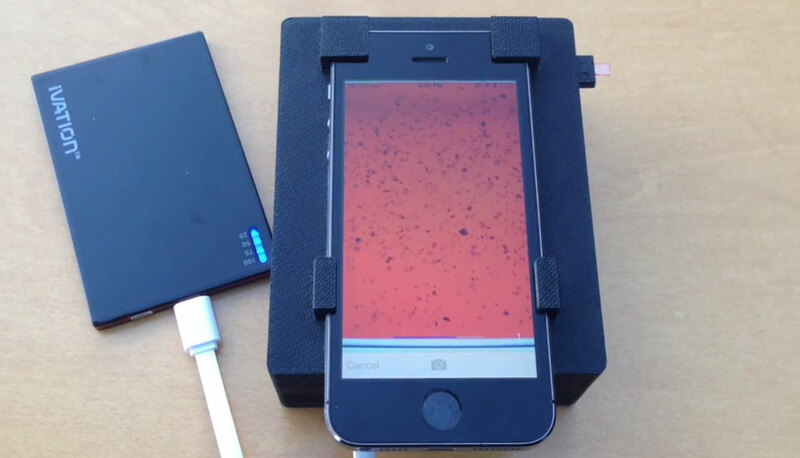 Instead they use a mobile phone microscope that uses motion—the “wriggling” motion of individual microfilariae—instead of molecular markers or stained morphology to count microfilariae in whole blood. This means that the results are available in minutes as opposed to many hours or days. The technology uses an unmodified iPhone and readily available components, at the moment the devices are built by hand. Analysis is carried by a custom iPhone app that controls operation of the mobile phone microscope and enable one-touch counting of L. loa microfilariae in whole blood. All source code is available on GitHub. Orange NMR has been updated 1H NMR prediction (12 atoms restriction) added. Allow to draw structures with S, F, Cl and Br. 13C NMR prediction accuracy improved. ElementalDB has been updated to version 2.1 to fix a bug to improve display under iOS8. ElementalDB is a really impressive demonstration of the computational abilities of an iPad, allowing chemical structure based searching of the 1.4 million structures within ChEMBL. There is a review of ElementalDB here. iSpartan a interesting tool for molecular modelling under iOS has been updated. Whilst this is not a Mac application I thought I'd mention it since it seems a very nice implementation. The Protein-Ligand Interaction Profiler (PLIP) is a web service and command line tool for fully automated characterization of non-covalent interactions between proteins and ligands in 3D structures. You can either upload a PDB format file or use the search facility to use a PDB by protein, ligand or enzyme-commission number. You can combine multiple search terms to be more specific (AND search). I used the PDB code 3EQB, the software correctly identified two ligands, ATP and the more interesting ligand CHEMBL485945. You can view the results using the embedded 3D molecule viewer JSmol shown in the image below. PLIP is based on a python command-line application. In case you plan local mass/batch processing, you may want to use this one directly. The source code can be found on PLIP on Git Hub. I first tried this out on my desktop machine and it worked beautifully, I then tried it out on my iPad and iPhone and the website functioned exactly as expected. There continue to be announcements about Apple's medical research software platform, an interview with Steve Friend gives some insights into how ResearchKit and HealthKit were born. IBM (NYSE: IBM) today announced its Health Cloud and Watson cognitive computing capabilities will support health data entered by customers in iOS apps using Apple's ResearchKit and HealthKit frameworks. The move, which complements IBM's new Watson Health business unit, will arm medical researchers with a secure, open data storage solution, as well as access to IBM's most sophisticated data analytics capabilities. ResearchKit is an Open Source framework developed by Apple intended to be used for building apps for medical research. Ars Technica will be reviewing in detail over the next few days. I've added ResearchKit to the MobileScience site. 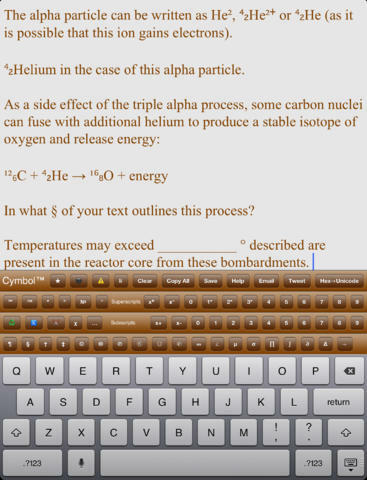 Cymbol is an iPad app providing fast, easy access to symbols, special characters, and scripts used in scientific writing. The application includes full sets of subscript and superscript numbers used in math, chemistry, and physics documentation. Cymbol also provides extra functionality for the iPad. A snippet editing and management tool, the app has been designed by writers for writers, providing fast, easy access to special characters not currently available on the iPad’s onscreen keyboard. You can also, put and save a variety of enhanced character sequences to the scratch pad and then paste into scientific publications. MyScript Calculator has been updated, MyScript Calculator performs mathematical calculations based on handwriting input. Just write the mathematical expression on the screen then let MyScript technology perform its magic converting symbols and numbers to digital text and delivering the result in real time. You might also be interested in Myscript MathPad which allows you to render complex handwritten mathematical expressions. The result can be shared as an image or as a LaTeX* or MathML* string for integration in your documents. The chemistry keyboard has been updated to improve appearance on the iPad and to correct missing greek letter. 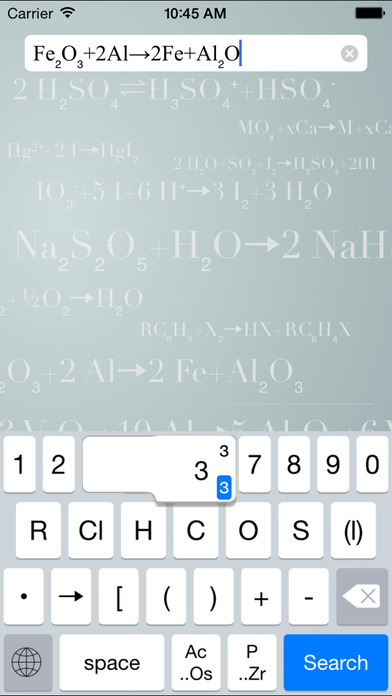 The Chemistry Keyboard is a specialized Keyboard Extension for anyone who needs to enter chemical formulae on iPad or iPhone. Whilst I'm sure that the Apple Watch will be the major focus of todays Apple Event one thing that caught my eye was ResearchKit. ResearchKit is a new open source framework intended to help researchers develop tools for medical research. This new framework takes advantage of the sensors and capabilities of iPhone to track movement, take measurements, and record data. There three modules to address the most common elements across different types of clinical studies: surveys, informed consent, and active tasks. These modules can be used as they are, or can be further built upon. ResearchKit contains five Active Task modules developed in partnership with Stanford Medicine, University of Oxford, Sage Bionetworks, and University of Rochester. The four categories include motor activities (gait, tapping), fitness (timed walk), cognition (memory tasks using touch screen), and voice . In addition of course for passive background data collection the APIs like HealthKit and CoreMotion can be included. There are already an Asthma app, a breast cancer recovery monitor, Diabetes and Parkinson's tracker. The Mobile Molecular Datasheet has been updated to version 1.6.0. Property calculation now includes Bayesian models. 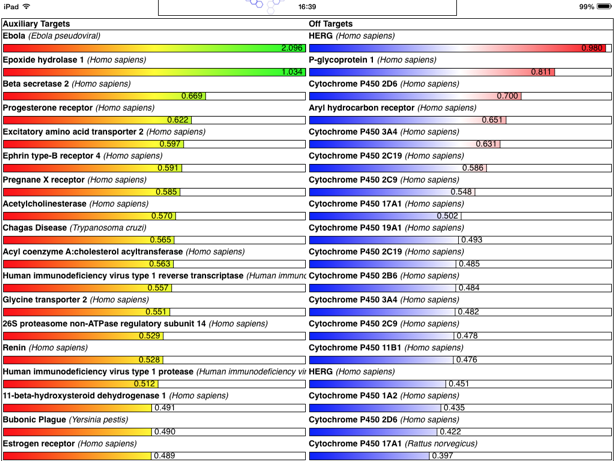 For individual models, the results are shown as a probability estimate, and a molecular overlay showing the atoms that contributed (ECFP6) fingerprints to the better/worse features. For whole datasheets, probabilities are calculated and stored in a column for each row. In this version, models included are: Solubility, Lipinski Probelike, hERG, KCNQ1, Bubonic Plague, Chagas Disease, Malaria and Tuberculosis. The ability to import and create new Bayesian models will be added in a followup release. With the increased interest in mobile devices for health and medical indications it is perhaps not surprising that the FDA have updated their guidance for developers who might be creating applications for mobile devices. The Food and Drug Administration (FDA) recognizes the extensive variety of actual and potential functions of mobile apps, the rapid pace of innovation in mobile apps, and the potential benefits and risks to public health represented by these apps. The FDA is issuing this guidance document to inform manufacturers, distributors, and other entities about how the FDA intends to apply its regulatory authorities to select software applications intended for use on mobile platforms (mobile applications or “mobile apps”). Given the rapid expansion and broad applicability of mobile apps, the FDA is issuing this guidance document to clarify the subset of mobile apps to which the FDA intends to apply its authority. The focus is on mobile apps that are viewed as medical devices. MathMagic is an equation editor application for editing any mathematical expressions and symbols with easy-to-use graphical interface and various powerful features. MathMagic Personal Edition works well with any word processors, presentation software like Keynote or PowerPoint, DTP layout software like Adobe InDesign or QuarkXPress. Strict sandboxing in the early version of iOS has caused issues with sharing molecular information between applications, chemists are very used to the idea of being able to copy and paste SMILES, or open sdf, mol files with multiple desktop applications. As iOS has evolved the strategies for sharing information have been implemented and this post on Molecular Materials Informatics has a brilliant summary of the current state of play. Methods for sharing chemical data are described: iOS apps have many different ways to pass data in and out. Making use of the numerous different ways to exchange data is essential to making cheminformatics functionality useful on mobile devices. There is an interesting article in the latest issue of Bio IT World describing work to design and build applications for mobile devices. The rapid incorporation of touch devices, such as smart phones and tablets, into our personal and business lives increases pressure on software providers to deliver technology via mobile apps. ChemDoodle Mobile has been updated. Added full 3D graphics support for 3D molecules! ChemDoodle Mobile is the most highly rated App on the Mobile Science website and is accessed with your ChemDoodle account that is provided to you for free when you purchase ChemDoodle desktop. The Chemistry Keyboard has been updated. Period had been inaccessible in portrait mode. Split the elements flyout into 2 and filled in missing elements. The Chemistry Keyboard is a specialised Keyboard Extension for anyone who needs to enter chemical formulae on their iPad or iPhone. The Mobile Molecular DataSheet has been updated, this is an important update and adds a number of exciting new features. There is now the ability to calculate a variety of chemical properties and add these to the data sheet. Importantly these are calculated locally on the mobile device rather than via an internet service. Molecular formula/weight, # heavy atoms, H-acceptors/donors, # rotatable bonds. Log P & molar refractivity: both calculated by an atom contribution method (S. A. Wildman and G. M. Crippen JCICS 39 868-873 1999), which requires implementation of substructure searching. Bad valences: reviews the valence counts for each of the main group atoms and reports egregious mistakes (e.g. pentavalent carbon). Stereochemistry: sites for R/S and E/Z stereochemistry are identified and their labels calculated, with unspecified or known ambiguous cases classified appropriately. Tautomers: common H-shifts are identified and the complete list of tautomeric forms are enumerated, with duplicate equivalent molecules removed, and racemised stereocentres labelled accordingly. PAINS filters: the original set of queries for identifying frequent hitters and other high throughput screening problem compounds is applied, and any matches are identified. Mass distribution: the isotope distribution is calculated for integral masses, as well as the exact mass for the base peak. The results are also displayed on the individual molecules with bad valencies highlighted, stereochemistry labeled, and PAINS substructures highlighted. This update really demonstrates the computing power of the mobile devices (Requires iOS8). Wolfram|Alpha has been updated, the release notes simply state "Design Updates". Parts of Wolfram|Alpha are used in the Apple Siri Assistant; this app gives you access to the full power of the Wolfram|Alpha computational knowledge engine. There is a comprehensive collection of science applications for iOS on the MobileScience site. Before Christmas a couple of developers contacted me about which versions of Mac OS X were used by scientists, based on website statistics and a poll I posted it looks like >80% of users have migrated to Mac OS X 10.9 or higher. There were a couple of scientists still using 10.6 because of the need for gfortran but several people pointed out that this is now compatible with the newer Mac OS X versions. I've now been asked a similar question about mobile devices, according to Google analytics for this site for the last month, 75% of the visitors using an identified mobile device are using an iPad or iPhone. Looking at the version of operating system on those iOS devices 80% are running 8.x.x, around 15% are using 7.x.x with the remainder running earlier versions. 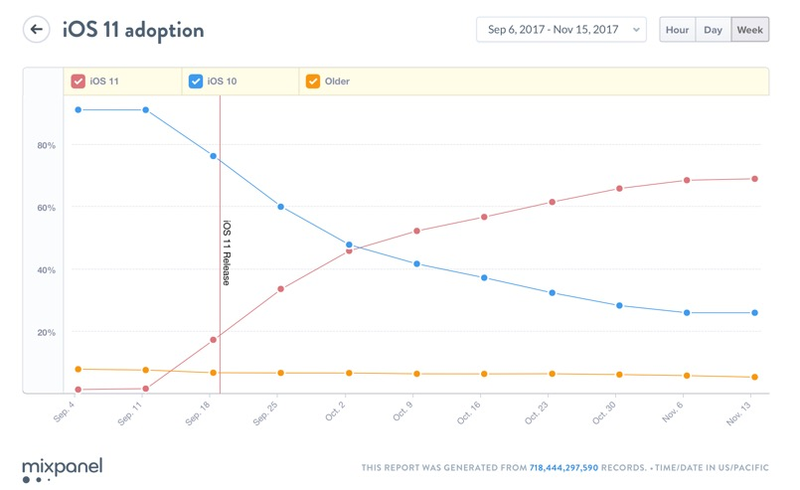 This seems to be supported by the latest data from https://mixpanel.com/trends/ shown below, which shows >70% iOS adoption. From a developers point of view it really underlines the need to support the latest versions of Mac OS X and iOS. The Medicinal Chemistry Toolkit app is a suite of resources to support the day to day work of a medicinal chemist. Based on the experiences of medicinal chemistry experts, we developed otherwise difficult-to-access tools in a portable format for use in meetings, on the move and in the lab. The app is optimised for iPad and contains calculator functions designed to ease the process of calculating values of: Cheng-Prusoff; Dose to man; Gibbs free energy to binding constant; Maximum absorbable dose calculator; Potency shift due to plasma protein binding; Log D vs pH curves; Attrition Modeller, Drug-drug interactions. What's New in Version 1.1 New (December 2014): Three additional functions: LogD vs pH curves, Attrition modeller and Drug-drug interactions. The Keyboard Extension Chemistry Keyboard has been updated. • Landscape keyboard now has a lower case Greek character map. • Dark Keyboard had been blanking out the element grid. • Search results were sometimes mislabeling temperatures as °C instead of K.
• Search results would occasionally include garbage strings. The Mobile Science website continues to attract additional views. November has turned out to be the most popular yet with over 3,000 page views. ChemDoodle, Elemental and Wolfram|Alpha continue to be the most popular. The excellent mixpanel continue to monitor iOS8 uptake among other things. iOS adoption is now over 60% with the steady decline in iOS7 continuing. A custom keyboard replaces the system keyboard for users who want capabilities such as a novel text input method or the ability to enter text in a language not otherwise supported in iOS. You can read more details here. I've just added Papers 3 for teams to the mobile science site. This app has been designed for teams, departments, companies and institutions to offer the same flexibility and easy management of Papers 3 to users with iOS devices as there is with desktop volume licenses. Papers for iOS has been updated. This is a substantial update and includes a number of new features together with significant improvements to performance. Library Filtering: You can now filter your library by a particular color label, as well as by all colors at once as in previous versions. Library Sorting: You can now sort in ascending or descending order when using any of the filters in the Library view or Federated Search. Sync Settings: The library sync settings section has been redesigned to give you more control over your sync settings and manual syncing. Notes: It is now possible to add General Notes to a paper on both iPad and iPhone, or edit existing notes. Support: Improvements to the "Help" section in the sidebar to include a completely redesigned support website and a direct link if you need to open a support request. Reading List: Improved interactions with the Papers Online Reading List. Linking to a Papers library on Dropbox now automatically starts an initial sync. Improves the "Add Keywords" screen to make it clearer which keywords are currently selected for the paper in question. Reduces the delay before the pop-up bottom menu bar appears on iPhone for better user experience. Adds a clear button to the Federated Search text bar to quickly clear a previous search query. Authors are now added to a paper when using the "Match" functionality. User-added keywords are no longer removed when using the "Match" functionality. The correct PDF is now displayed when attempting to view a supplementary PDF that had been attached to a paper. An imported paper is now also opened automatically (as well as being imported) in the Reader when using the "Open in Papers 3" Safari functionality. Remaining issues with the "Open in Papers" Safari bookmarklet have been resolved. The "Automatic File Downloads" setting within Sync Settings will now download all available primary and supplementary files on a user's Dropbox for all papers in the library. The "Download All Files" functionality will now correctly download PDF files instead of associated webpages in all cases (except when PDFs can't be downloaded because they are behind a pay-wall). Using the Federated Search after unlinking from a library on Dropbox and deleting all local library data now returns search results. When choosing "Sort by Author", the Library is now sorted by surname first, and prioritizes papers with at least one author. Download progress bars now appear correctly for library items on iPhone as well as iPad. The token field bar now appears correctly on the Federated Search keyboard when using Papers 3 for iOS on iOS 8 devices. The color of a highlight annotation can now be changed once it has been added to a paper. Improved stability during initial app launch. Reductions to disk space usage by ensuring redundant PDF thumbnail cached data is removed when the app is launched. The Reading List contents are now refreshed after moving items from it to the Trash. Addresses some UI issues with the library screen when using Papers 3 for iOS on the iPhone 6 or 6 Plus. Prevents viewing the paper metadata inspector in landscape on iPhone to avoid UI issues. 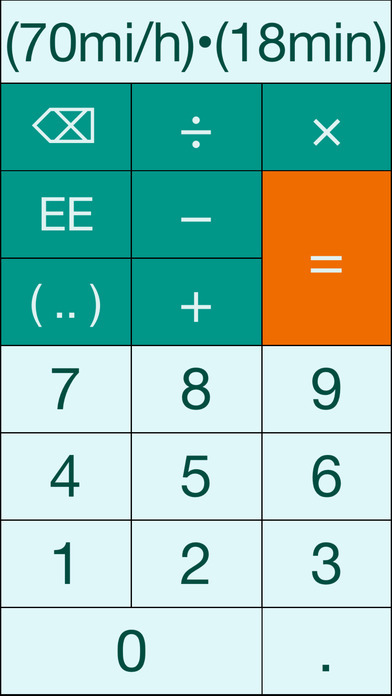 The iOS scientific calculator PhySyCalc has been updated. PhySyCalc 2.0 is now universal in supporting both iPhone and iPad, there is now a swipe up for keyboard and swipe down for quantities. Plus Numerous improvements to the calculator engine. The hugely popular Wolfram|Alpha has been updated. With Wolfram|Alpha on your iPhone or iPod touch, you can explore a vast world of knowledge through an app adapted for your ever-changing, on-the-go lifestyle. Use Wolfram|Alpha to discover new information about the world and to deliver expert knowledge into any facet of your mobile life. The Wolfram|Alpha App plugs directly into the Wolfram|Alpha supercomputing cloud, computing answers to your questions quickly, efficiently, and without draining your battery. Findings LabNotebook for iOS has been released. This comes with Dropbox sync. There is a review of the MacOSX version here. Mobile Science 350th app added. There have a few new additions to the Mobile Science site taking the total number of apps up to 350. These include the Chemical Engineering App Suite for iPad and iPhone, and a series of apps from Wavefunction, Inc that cover molecular structure and bonding called the ODYSSEY applications. Several more apps have been updated recently. ElementalDB has been updated to use ChEMBL 19. Chemistry by Design has been updated for iOS8. ChemSpider has been updated with additional advanced filtering options (e.g. log P, density, rule of fives violations, etc.). Also a minor UI tweaks and bugfixes. Building molecule model of any organic or inorganic compound using most of periodic table elements. “Test yourself” mode to build the target chemical compounds. Support of single, double and triple bonds. Building molecule models of cyclic compounds. Hints which provide information about what's going wrong with the builded molecule. Visualization of Wireframe style, Stick style, Ball and Stick, Spacefill (CPK) models. Visualization of atomic orbitals and electron effects. T-shaped and «seesaw» molecular geometries support. Availability of information about the bond length and chemical element symbols in the molecule. Saving and sending the created model by e-mail. Loading, editing and saving molecule in SDF file format. Loading, editing and saving molecule in PDB file format. Creating, sending and opening molecule verification file. Export to VRML format for builded molecule. Opening the molecule file attachments directly from Mail. Opening and saving created molecules in cloud services and third-party applications. When I created the Mobile Science site I did wonder how popular it would be. I occasionally check the page views and September has proved to be the busiest month to date with over 2400 page views. As you might expect the three most recent additions generated the most page views with Computable a iPython system for the iPad topped the list, closely followed by the Medicinal Chemistry Toolkit an app designed to help drug designers. In third place was Chemical Valence a teaching aid to learn about chemical bonding. 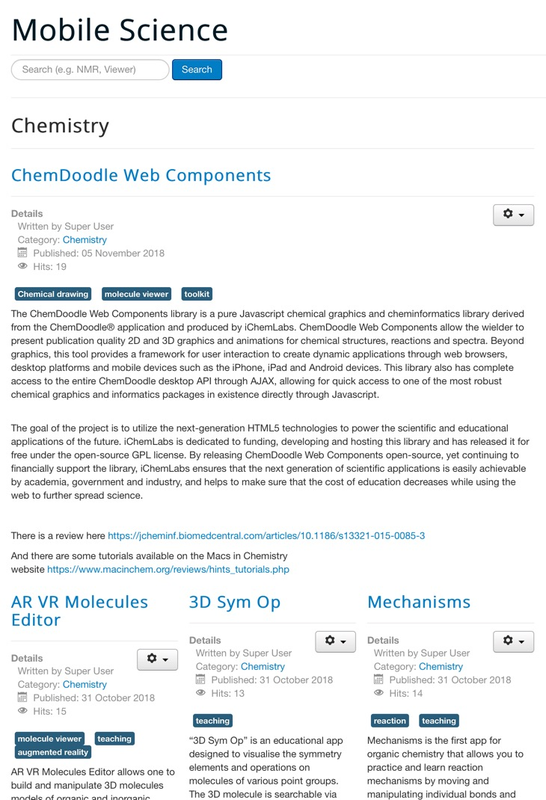 In fourth place was ChemDoodle Mobile this is the iPhone and iPad companion to the popular chemical publishing desktop application, this app has also proved to be the most popular upvoted on the mobile science site. Two apps tied for fifth place Elemental and ChemDraw for iPad. I’ve tagged each of the applications in order to make searching a little easier and the most popular tag is Chemical Drawing, closely followed by Molecule Viewer. There are now 340 entries spanning a diverse area of science, if anyone knows of any that I’ve missed feel free to send me the App Store link. 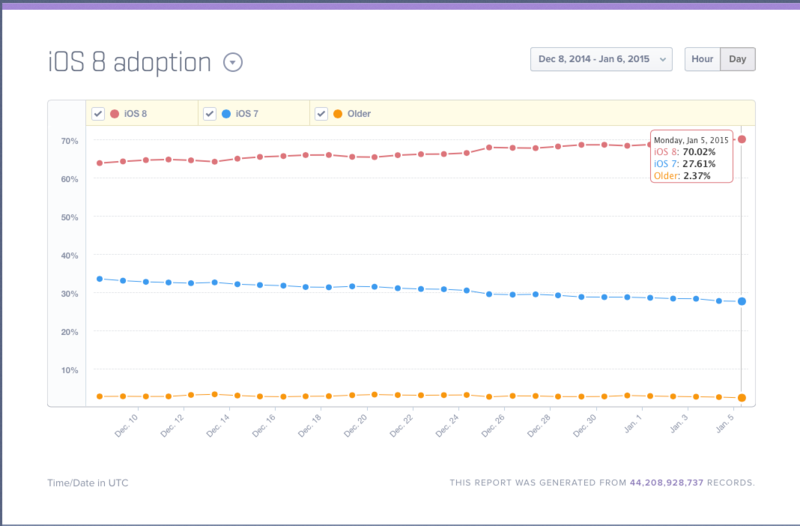 A interesting page monitoring iPhone 6 and iOS 8 adoption/usage rates. ChemSpider Mobile has been updated. Version 2 has a completely redesigned user interface, with powerful new functionality for previewing search results, saving compounds, and exporting to other apps and webservices. The new look incorporates the latest graphical art from the Royal Society of Chemistry, and the style conventions of iOS 7. There is a recent publication “How Mobile Devices and Apps for Green Chemistry can bring value to scientists” DOI nicely illustrates how much mobile devices have become part of our working lives. We made the American Chemical Society Green Chemistry Institute (ACS GCI) Pharmaceutical Roundtable Solvent Selection Guide more accessible and have increased its visibility by creating a free mobile app for the Apple iOS platform called Green Solvents. We have also used this content for molecular similarity calculations using additional solvents to predict potential environmental and health categories, which could help in solvent selection. Green Solvents is a reference card for chemical solvents, with data regarding their "greenness": safety, health and environmental effects. 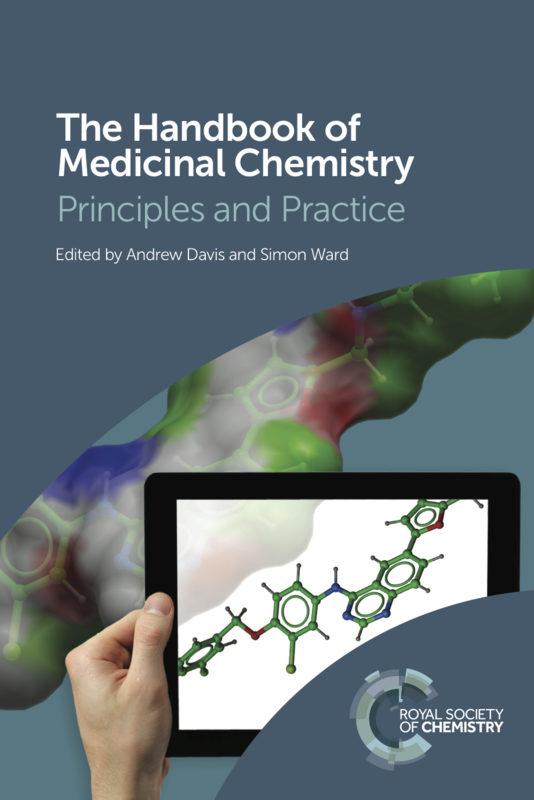 The app has been designed in collaboration with the editors of the forthcoming book, The Handbook of Medicinal Chemistry: Principles and Practice, which will be published in November 2014 providing a comprehensive, everyday resource for a practicing medicinal chemist throughout the drug development process and is an ideal companion for the biannual MedChem Summer school run by the RSC. An interesting paper from George Whitesides et al “Universal mobile electrochemical detector designed for use in resource-limited applications” in PNAS DOI. It describes an inexpensive, handheld device that couples the most common forms of electrochemical analysis directly to “the cloud” using a mobile phone. Several electroanalytical techniques (chronoamperometry, cyclic voltammetry, differential pulse voltammetry, square wave voltammetry, and potentiometry) are described and demonstrated. Four applications demonstrate the analytical performance of the device: these involve the detection of (i) glucose in the blood for personal health, (ii) trace heavy metals (lead, cadmium, and zinc) in water for in-field environmental monitoring, (iii) sodium in urine for clinical analysis, and (iv) a malarial antigen (Plasmodium falciparum histidine-rich protein 2) for clinical research. Full technical details are included in the supporting information. Open Drug Discovery Teams has been updated to add Ebola a disease topic. The Open Drug Discovery Teams (ODDT) project is a crowd-sourced content aggregator for chemical topics. Magazine-like interface for browsing topics, which include rare and neglected diseases, and precompetitive initiatives like green chemistry. Back-end server which harvests links from Twitter, based on topic hashtags. App integration with Twitter, allowing users to influence content by crowd-sourced ranking. Chemically-aware recognition of content: browsing and integration with other apps. Molecular Materials Informatics, Inc. have been updating and expanding their portfolio of iOS apps, the latest addition is Green Lab Notebook, this looks like an interesting application for managing chemical reactions on a handheld device. There are now nearly 350 mobile science apps on the Mobile Science website. Sean Ekins gave a talk on TB Mobile at the recent ACS in San Francisco. Whilst R is a very comprehensive statistical and data analysis package it does have a very steep learning curve. R Instructor is an iPhone, iPad and iPod Touch application that uses plain, non-technical language and over 30 videos to explain how to make and modify plots, manage data and conduct both parametric and non-parametric statistical tests. Now added to the mobile science site. According to a report at the ACS Yield101 and Reaction101 are now available for free. 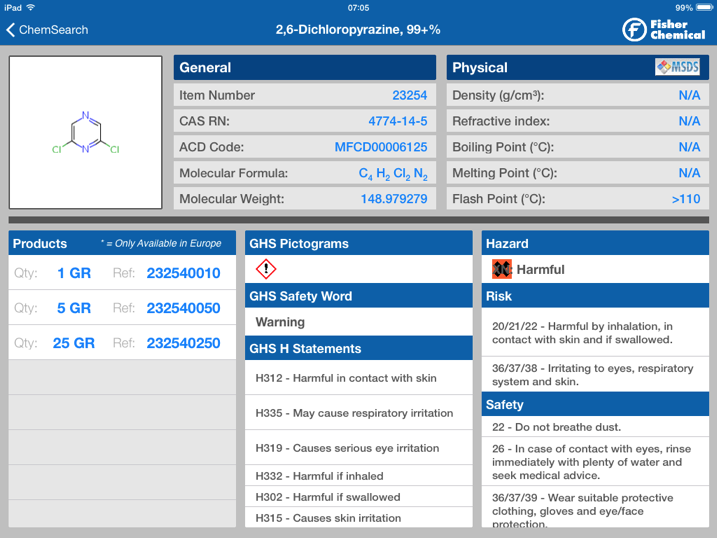 ChemSearch is an iPad app that gives you access to the Acros Chemicals catalog. It uses the ChemDoodle Web components as a front end to structure-based searching. You can then look at all the chemical property and safety information by selecting a particular molecule. I’ve just been sent links to a selection of iOS apps related to space exploration. The NASA Visualization Explorer, the coolest way to get stories about advanced space-based research delivered right to your iOS device. The NASA app allows you to explore with NASA and discover the latest images, videos, mission information, news, feature stories, tweets, NASA TV and featured content. There is also the NASA TV for live feeds. Portal to the Universe a news aggregator for space news. The ESO Top 100 Images, which brings users a selection of the best astronomy images taken by a suite of the world’s most advanced ground-based telescopes from the Atacama Desert in Chile. Whilst the ESA/Hubble Top 100 Images, which brings users the best Hubble pictures from ESA. Looks like an ideal place to browse for new desktop pictures. Finally if you want to explore the Science Museum in London from the comfort of your sun lounger, with Journeys of Invention you can study, rotate and even operate some of the most revolutionary scientific inventions of all time. The have been a couple of new additions to the mobile science database of scientific applications for iOS. StatsMate is a calculator designed to make statistical analysis easier. Bio Flowchart Lite is a collection of biological clip art. Chemist Virtual Chemistry Lab is a fun app for undertaking chemistry experiments, Try mixing chemicals by pouring them into beakers or test tubes. You can also heat the chemicals with a bunsen burner, or put a piece of cesium into water. I’ve just added the 300th iOS app to the mobile science website. The honour goes to Predictive Tools for Breast Cancer this is a tool for risk prediction of additional axillary metastases after Tumor-Positive sentinel node biopsy, described in a recent publication. I also found a number of other iOS applications that might be of interest to those working in the area of Onclogy. The Roche Oncology Pipeline app is a comprehensive guide to all oncology molecules currently under investigation in Roche/Genentech clinical trials. Similarly the [Lilly Oncology Pipeline app] (http://www.macinchem.org/mobilescience/biology,medical/lilly-oncology-pipeline/) gives access to the Lilly oncology pipeline. Genetech also provide the HER2 testing roadmap an iPad application that details the steps required for accurate HER2 testing for breast cancer. The BRisk Breast Cancer Risk Assessment is intended to provide a means of assessing age-specific risk of breast cancer for women with a family history of breast and/or ovarian cancer. The Breast Cancer @Point of Care™ is a clinical support platform that provides comprehensive information on the diagnosis, treatment, and management of Breast Cancer, made up of a progressive series of chapters and other learning tools. HER2 Reader is a simple clinical decision support app developed primarily for pathologists and oncologists who perform predictive marker testing for breast cancer. The popular iOS molecule viewer iMolView lite has been updated with the ability to draw a structure in 2D and then convert to 3D. The secret of a good iOS app is often finding a niche that is both useful but does not require lots of functionality or screen real estate. Chemical Names Spell Checker ticks both boxes nicely. The Chemical Names Spell Checker provides chemical name spell checking and chemical name synonym look-up. Data are provided by the ChemSpell service that contains more than 1.3 million chemical names related to organic, inorganic, pharmaceutical, toxicological, and environmental health topics. Once checked the name can be copied to the clipboard for use in another application. 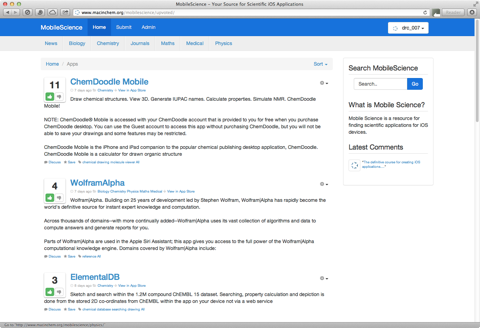 The ChemSpell Web Service API is free of charge. Neither registration or licensing is required. This app nicely underlines the power of chemistry web services. Well worth all chemists having on their iPhone or iPad. RCSB PDB the official molecule viewer for the RCSB PDB has been updated to include the latest molecule of the month. Many journals now provide a reader so that you can access the journal on your mobile device. I’ve been adding them to the Mobile Science site, currently there are 34 different journal readers available. You can see them all here. There are many more science applications for iOS on the Mobile Science site. IDdx: Infectious Disease Queries Users can find lists of matching infectious diseases by picking disease search criteria (103 signs & symptoms, 39 epidemiological factors, and 16 regions of the world). The user can see all the symptoms associated with a disease or see all the diseases associated with a symptom. Infectious Diseases in Clinical Practice From HIV care delivery to Hepatitis C virus testing…travel and tropical medicine…and infection surveillance, prevention, and control, Infectious Diseases in Clinical Practice delivers the vital information needed to optimally prevent and treat infectious diseases. ECG Guide for iPad Full reference text that includes in-depth information on topics such as: Approach to ECG Interpretation, Analysis of rate, rhythm, axis, P wave, QRS complex, ST segment, T wave and QT interval, Ventricular hypertrophy and atrial enlargement and much more. I’ve just added a list of applications to the mobile science site, these are all anatomy reference applications. For those who remember Gray's Anatomy before it became a TV series these mobile apps offer the opportunity to explore and interact in 3D at a fraction of the weight of the book! I’ve just been sent details of a couple of mobile apps that may be of interest to the medical profession. MediMath puts 144 of the most important medical calculators and scoring tools on your iPad, iPhone, or iPod Touch. iMOLView has been updated, this update optimises the app for iOS7. Several apps have also been recently added MacroMole is a molecule viewer/teaching aid. Biochemistry Refence is a self-contained 350 page series of articles for a wide range of biochemistry topics. The comprehensive medical reference The Merck Manual is available for iOS. Apple have also brought out iOS Human Interface Guidelines. I’ve just been sent details of two more Science apps for iOS. X-ray utilities looks like a handy app for crystallographers. 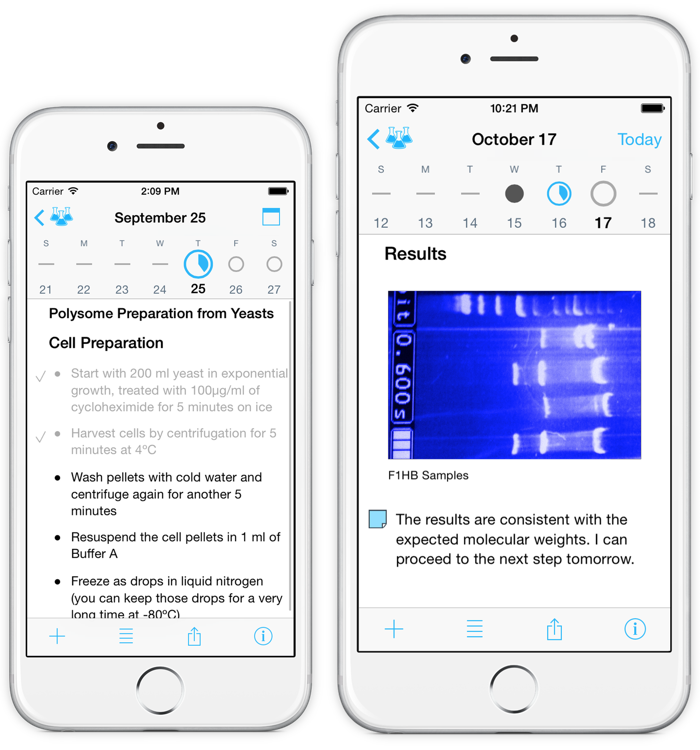 Real-time PCR is an iOS Application from Life Technologies, a collection of easy-to-use real-time PCR resources, and a comprehensive reference. RCSB PDB Mobile has been updated to include the May Molecule of the Month. I’ve just added ChemiCal to the database of mobile science application. ChemiCalc is a powerful unit converter for chemistry and physics calculations. Students and teachers can enter and simultaneously view converted values for energy, wavelength and frequency. Formulas and fundamental constants relevant for quantum mechanics are included. ScienceCloud is a secure, SaaS-based, mobile-enabled information management and collaboration environment that improves data and knowledge sharing for globally networked researchers. Bi-directional integration between ScienceCloud and existing on-premises systems lets life sciences organizations migrate to the cloud in a measured fashion, continuing to leverage critical legacy applications as long as needed. Two mobile apps are now available ScienceCloud Projects and ScienceCloud Tasks. I’ve just finished a brief review of Asteris is a new iOS app that arose from a collaboration between Optibrium and Integrated Chemistry Design that allows medicinal chemists to design new molecules on their iPad and then calculate a range of physiochemical and ADME properties. The complete review is here, and there is a full listing of reviews here. I’ve just added a Radioactive Decay Calculator to the listing of mobile science applications. KiwiViewer is a free, open-source visualization app for exploring scientific and medical datasets. KiwiViewer opens a variety of file formats and provides flexible methods of accessing data, including Dropbox, Midas, iTunes file sharing, or download via url. Supported data types include meshes, images, and point clouds, with options for vertex coloring and texture mapping. File formats include: byu, g, jpg, kiwi, mha, obj, pcd, pdb, ply, png, stl, tiff, vti, vtk, vtm, vtp, vtu, and archive formats zip, gz, bz2. The full MobileScience database can be found here. Shortly after announcing 100,000 downloads Dotmatics have posted an update to the chemical drawing app Elemental for iOS. Since it has been just over three months since I built the Mobile Science website I though it might be interesting to see how it is performing. After a slow start there have been around 6000 page views and looking at the weblog it is clear many people are starting to use the search facilities to explore. Currently there are around 250 scientific apps listed and I’ve started to add iOS programming resources. Whilst the number of chemistry apps is perhaps unsurprising it is great to see other areas of science starting to make an appearance. I’ve put together a page briefly describing the molecule viewers I’ve found for iOS. I’ve included both small molecule and large biomolecule viewers, together with some that use a client server model. Everyones favourite physicist Brian Cox has just brought out a new app. The wonder of Life app allows you to explore nature in 3D with Professor Brian Cox as your personal tour guide. This is a follow up the highly successful Wonders of the universe. Brian Cox is an excellent presenter and these apps are based on the highly successful BBC TV series, Wonders of Life and Wonders of the Universe. 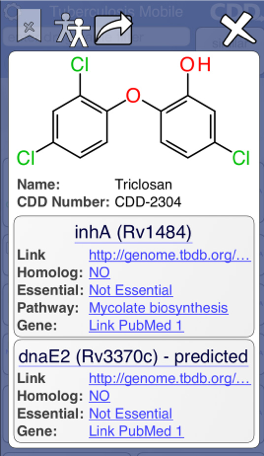 TB Mobile from Collaborative Drug Discovery been updated. TB Mobile makes available a set of molecules with activity against Mycobacterium Tuberculosis, and known targets available in CDD. It links to pathways (biocyc.org), genes (tbdb.org), literature (PubMed). The latest update adds support for iOS7, and adds further compounds and molecular targets. So now there are 96 unique targets and 805 compounds. There is also major new functionality including interactive clustering, personal favourites, target prediction and exporting capabilities. I’ve just been sent details of a number of iOS apps that would be useful to those involved in spectroscopy, (NMR, IR, MS) so I’ve added them all to the mobile science site. Learn NMR FID is a great teaching tool to learn the basics of NMR data collection and processing. Use simulated free induction decays (FIDs) and spectra to see apodization, noise and relaxation effects. Move peaks and see how the FID changes. Real and imaginary FIDs prior to and after processing are displayed as is the resultant spectrum after the Fourier transform. There are more science apps for iOS on the mobilescience site. I also thought I’d mention this framework that was brought to my attention recently. There is a trend to move massively parallel tasks to the GPU, GPU Image is a framework (BSD license) that simplifies the creation of GPU filters. This framework is built around OpenGL ES 2.0, so it will only work on devices that support this API. This means that this framework will not work on the original iPhone, iPhone 3G, and 1st and 2nd generation iPod touches. All other iOS devices are supported. I see that Papers3 for iOS has just been updated to version 3.1.1. This version now includes article level metrics (Altmetrics) on the article you're reading now available in the landmarks view (PDF reader). General bug and stability fixes. There are more science apps for iOS here http://www.macinchem.org/mobilescience/. I’ve just added FierceBiotech and FiercePharma to the MobileScience website. Those are two very popular industry news monitors. It has been just over a month since I set up the Mobile Science database and I thought it would be good to have a look at how things were going. The aim of the database was to enable scientists to be able to search for scientific apps for iOS. It took a lot of work to compile all the information so I’m delighted to see that it has been accessed nearly 1500 times with visitors from all over the world. A fair number of people have been voting for their favourite application and it perhaps not surprising that the chemical drawing applications, Elemental, ChemDoodle Mobile and ChemDraw are all in the top 5. The other apps picking up votes are popular scientific search and computation tool WolframAlpha and the award winning reference management app Papers3, together with ElementalDB an app that allows you to search a local copy of the 1.2 million record ChEMBL database, an app that really demonstrates the computing power now available in a hand-held device. I will of course continue to update the database but since finding science apps on the iTunes Store can be a challenge I’d be delighted to hear about any that I have missed. Originally Theodore Gray produced a beautiful coffee table book The Elements: A Visual Exploration of Every Known Atom in the Universe, this was later converted into an iPad app The Elements which gave access to more dynamic information than could be achieved with a hard copy book. Now the developers have gone one step further and created The Elements in Action a periodic table with video explorations of the properties of elements. Some of the videos look like they have been rescued from old research labs so this is probably your only opportunity to see them in action. Finding scientific applications for your iPhone to iPad has always been a little hit and miss since there is no “science” category on the iTunes store. To help out I created a page listing applications that I knew about, unfortunately as the number of applications increased the page became unmanageable. In addition an alphabetical listing is not the most useful way to search through them. I’ve now transferred all the information to a database that can be searched via a web interface. The site is available at http://www.macinchem.org/mobilescience/, I’ve started to categorise applications to aid navigation but I’d be interested to hear of any suggestions. Currently there are over 200 entries covering an extensive area of science, if I’ve missed any please let me know and I’ll add them. In the news section I’ve added links to publications and presentations that might be interesting. I’d encourage to have a look around and I’d be interested to hear any comments or suggestions. I’m hearing more and more concerns about security concerns with regard to mobile devices. I guess this was to be expected as more people have smart phones and tablets start to replace laptops. It seems Google's executive chairman Eric Schmidt drew laughter when discussing security on the Android platform, Executive chairman dances around straight answer while talking up Android security. Schmidt said in the distant future there would be an assumption that nothing is secure and that security will be devised on a per app basis for each user. I’m not sure whether many people would find that situation very helpful. His view is perhaps a consequence of a recent study issued by the Department of Homeland Security (DHS) and the Federal Bureau of Investigation (FBI) suggesting Android devices represent a significant security threat. Of the malicious attacks documented in the study, 79 percent took place on an Android device and 19% on Symbian whilst Apple's iOS received just 0.7 percent of the recorded malware threats. One of the key sources of threats appear to be the installation of apps from insecure sites, so whilst the approval process for the Apple iTunes store occasionally causes complaints it also acts as a significant security barrier. Whilst the Google Android should have the same role it is perhaps worrying to find that recently 50 malicious apps had to be removed. There have however now been reports of threats distributed via email spam. The Android trojan known as Stels began distributing via fake U.S. Internal Revenue Service-themed emails, using an Android crimeware kit to steal sensitive information from the device, and monetizing by making calls to premium numbers. Apple does seem to be taking the security concerns seriously, the AppStore provides an initial check on apps, the new fingerprint authentication provides an extra level of device protections. In iOS7 we have Activation Lock so that someone who’s got hold of your device can’t disable Find My iPhone without knowing both your Apple ID and that Apple ID’s account password. The person with your lost device can’t erase data on the device, also if you designate your device as being lost it can’t be restored to reactivate it—the phone displays only a phone number and a custom message about contacting you. Keeping the operating system up to date helps, and the adoption rate for iOS7 is very impressive. Now added to the mobile science page.